← Gaslight Gathering ReCap AT LAST. Thank you all for your constant patience and support during these last few months. They have been DOOZIES! I appreciate every single one of you who have told me to take care of life and family first. I really have some great blog followers, I do indeed! 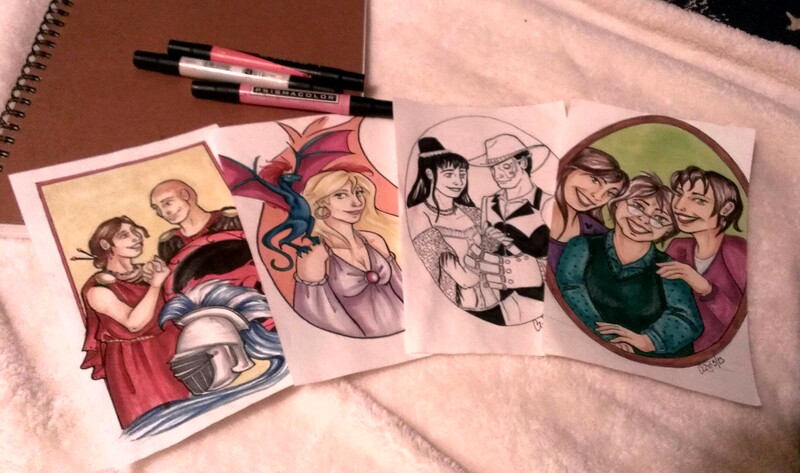 Finally, life has granted me enough time to scan and post up the finished commissions that were destroyed in the great water bottle in purse incident in May. But first, a big announcement! 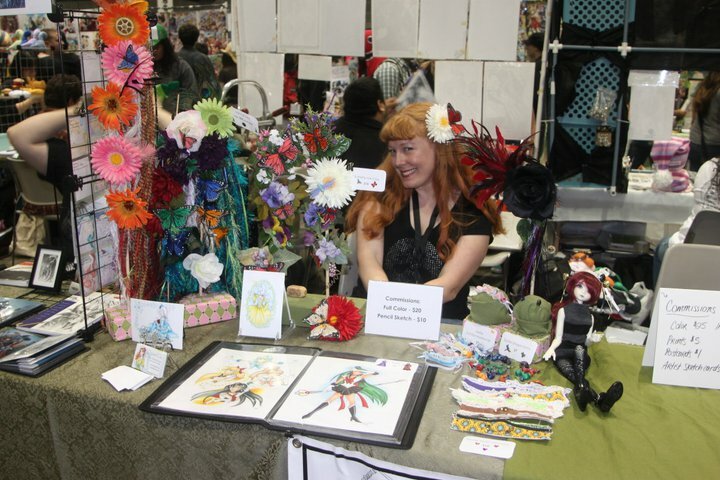 For the first time ever in the history of … um… ever, Original Cin will be vending at San Diego Comic Con International! I, along with other extremely talented artist friends will have a booth in the vendors hall selling our prints, sculptures, jewelry, and other awesome geek crafts! This will be my first time having my work available at such a huge event. And even for a hobbyist like me, it’s a huge deal and a great opportunity. I am STOKED! More info to come including what I will be offering and our booth location, coming soon! Without further ado, the lost commissions of May! This one is my favorite of the trio. 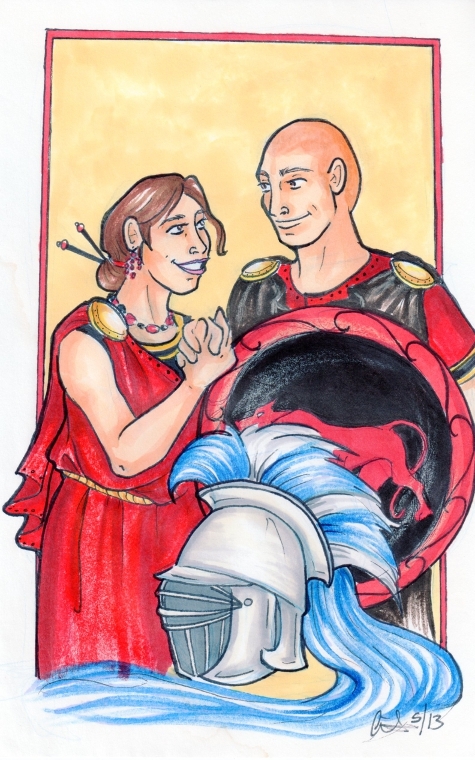 A fellow SCAdian commissioned me for a piece of him and his wife in their persona garb. I really enjoyed working on this one. One for my regular commissioner, Patrick. 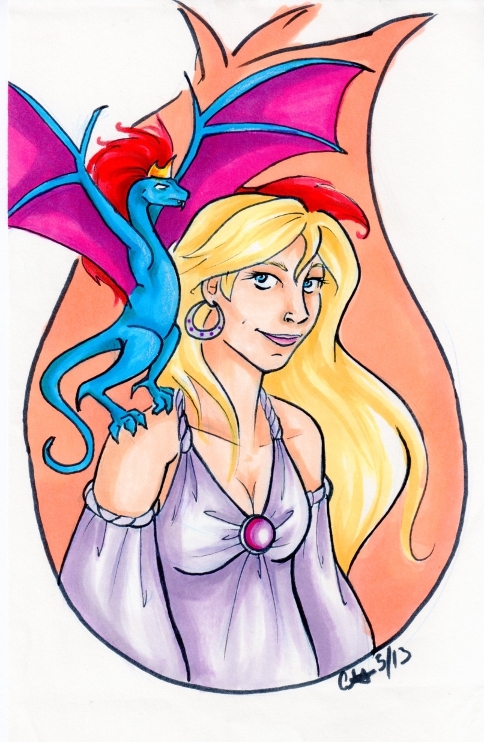 He requested His original character, Andrea dressed as Daenerys Targaryen and Demona as her dragon. I was really afraid this one was lost. 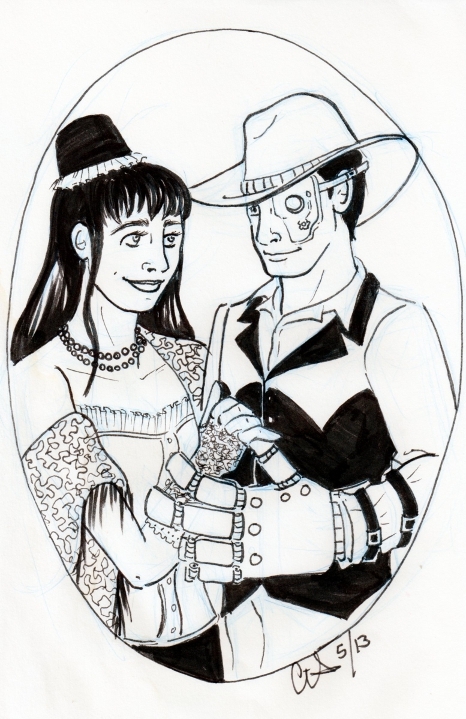 It was a piece that was requested from a lovely couple at Wild West Fest in May. I was about to ship it out when it got water damaged. Luckily I managed to save it. More announcements soon including SDCC sneak peeks and various sundries on Costumed Nonsense. This entry was posted in Announcements, Artwork, Travels and tagged art, commissions, conventions. Bookmark the permalink.